This past Sunday, my wife led the service at our church. I sat back in the pews and enjoyed as Amanda did the announcements, offering, a number of prayers and other aspects of the service. I have seen Amanda in action doing pastoral care as well. She is extremely gifted in these areas. For some people, women in ministry is a real issue. I don’t think they really mean women in ministry, because no interpretation of the Bible could lead to a conclusion that women should not be involved in ministry. What they really mean is that women should not be involved in the leadership of the church. Sometimes that means women shouldn’t be involved on the level of deacons/elders/board and sometimes as pastors and sometimes as lead pastors. I will say that I have a pet peeve about churches who hire women to do the work of pastors but then give them the title “director” so they won’t be considered pastors. If you don’t believe women should be pastors, then don’t give them pastoral duties. Be consistent. 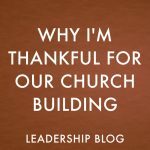 I happen to believe that women can be pastors and should be in leadership. In our church, we have female deacons. Our deacons are very much like the elder model. I have also worked with female pastors. While I think that the passages that are used to argue against women in leadership need to be addressed, I would like to start by sharing why I believe the positive case for women in leadership is strong. I will respond to the other passages in a different post. There were female prophets in the Old Testament. Miriam, Deborah and Huldah all preform the role of a prophet. There are two others who could also be included. There was a female judge. It is clear that the role of the judge was an important leadership position within ancient Israel. Deborah, along with being a prophet, also was a judge. She has one of the most positive accounts of all the judges. There were female disciples. While it could be argues that there were many female disciples, it is very clear that Mary was a disciple of Jesus, a role that most rabbis would not allow for women. See Luke 10:38-42. There were female prophets in the New Testament. There were the daughters of Philip who prophesied (Acts 21:9), Paul also gives guidelines for women involved in prophecy (1 Corinthians 11:5). I find it strange that some people find prophecy as a less authoritative activity than teaching or preaching. There were female deacons (Romans 16:1). There is no reason to believe that Phoebe’s role was any less than that of male deacons. There was at least one female apostle (Romans 16:7). The natural translation of this verse is that Junia was an apostle. A number of translations come at the verse with the assumption that a woman could not be a deacon. Hi Stephen, first I want to say that I appreciate your ministry, and I’m glad you see the value of women in the church. I think there are many roles women can and should be in as they serve the church. However, I think there is a strong argument to be made against women being in one position, that is as a pastor (elder/overseer/bishop). 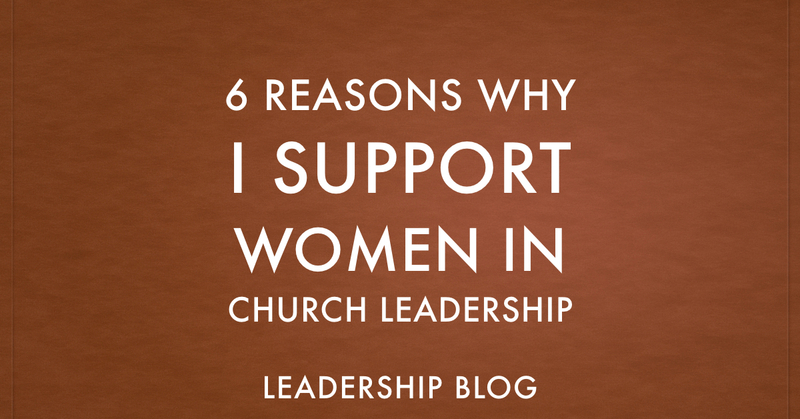 I think the 6 reasons are great for arguing that women should be in various leadership roles, however, only one of them successfully supports women serving as pastors, #4. The first two don’t directly apply to the church. What the OT saints did does not usually have direct implications for NT church ecclesiology. The OT saints also thought women were unclean during their menstrual period. But we now God’s people are in a different era where that no longer applies. You always have to be very careful when you observe OT law or examples and apply it to ecclesiology today. For the third point, I don’t think anyone is disputing that women can or should be disciples of Jesus today, and being a disciple is very different than being a pastor. On the fifth, I agree that women can be deacons, however a deacon is not a pastor. On the sixth I think we simply disagree on who qualifies as an apostle. There were the twelve, with Matthias to replace Judas Iscariot. Paul rigorously defends his apostleship. And James was potentially considered an apostle, although I don’t think that is stated explicitly in scripture. Apostleship is not something to be bestowed lightly. Lots were cast for Matthias even after he was considered qualified. Paul spends almost half of Galatians defending his apostleship, which was obviously doubted by some. I think we are being a little presumptuous to grant the same title for Junia. Like I said, I think your 4th point is one that does lend good support to your position that women can be pastors. However I don’t believe the other 5 are good reasons. Again, I think there are many ways women can serve and even lead, but I think the reasons you offered here don’t provide much support for women specifically in the role of pastor. I hope I don’t appear to be divisive. I just wanted to point out where I believe your arguments are weak. I know my comments are not enough to change your position, but as you think through your position I hope at the very least you can build a stronger case for your position. God bless you brother. May He continue to grow your ministry.